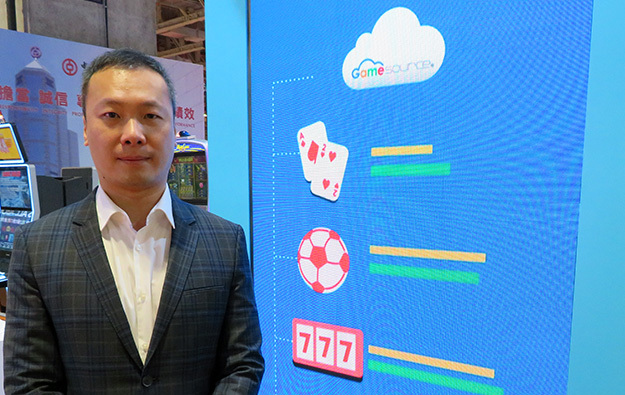 The GameSource electronic game platform – launched via Macau-based International Alliance Systems Ltd – is now undergoing market trials at casino hotel MGM Macau, the equipment supplier’s managing director Lam Iao (pictured) told GGRAsia. 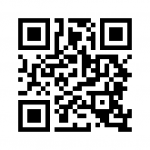 GameSource consists of a cloud-based platform offering land-based casinos access to a library of electronic games. 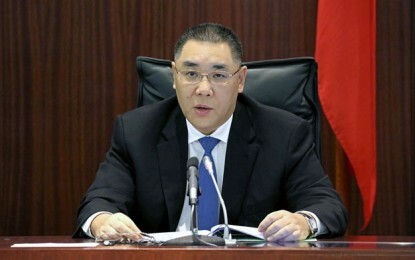 The trial started in October, Mr Iao said, with MGM China Holdings Ltd – the operator of MGM Macau – as a “strategic partner”. International Alliance Systems currently has four terminals and four handheld, portable devices on trial at the property. They are available in ‘play for points’ mode. “This is a very innovative approach,” Mr Iao said, in reference to the use of handheld, portable devices. “We have a designated area within a controlled and secured land-based environment, to simulate ‘new-generation playing experience’.” The latter was a reference to a preference among younger generations of gamblers to bet using handheld devices – such as smartphones or tablet computers – instead of traditional slot machines. GameSource runs on generic devices that have a touchscreen. This means no specific hardware is needed to play the games carried on the digital platform. Casino operators select which games from among those in the platform’s library they want to make available to their customers. Currently, there are four gaming content developers – RTG Asia, August Gaming, EPICONE and Laxino Systems Ltd – that have signed up with International Alliance Systems to provide their games to the platform, Mr Iao told GGRAsia. Mr Iao said the GameSource platform made it easy for independent third-party content developers to make their games available there. “The whole ecosystem created allows to open up the market, so that any developer that has a creative mindset and can develop new content, can pretty much use our [GameSource] modules to build a game and place it there,” he said. “For a particular game to get [compliance] certification, the success rate is up to 95 percent, because we partnered with BMM to build the platform,” Mr Iao explained. The latter was a reference to gaming testing laboratory and technical consultancy BMM International LLC, known as BMM Testlabs. Mr Iao was speaking on the sidelines of MGS Entertainment Show 2018. The trade show took place at Cotai Expo in casino resort Venetian Macao from November 13 to November 15. The executive said the feedback from MGM Macau’s management regarding GameSource “has been great” so far. International Alliance Systems additionally is in talks to export GameSource. “We have signed three letters of intent already: one in Europe and two in the United States,” Mr Iao told GGRAsia. Mr Iao stressed the firm had invested a lot of resources in ensuring GameSource could comply with gaming regulations in Europe and in the United States. “We spent a lot of effort to ensure our product is compliant with the Macau regulations, but we also spent almost a year and half working with different departments at MGM [China] and different advisors from the U.S. just to make sure our product is compliant with U.S. standards as well,” Mr Iao said. Mr Iao said that the product took four years to develop and a total investment of about HKD200 million (US$25.5 million). “The [Macau] government has been giving us its support since day one, when we created this project, because they understand that this is a Macau product,” he added.